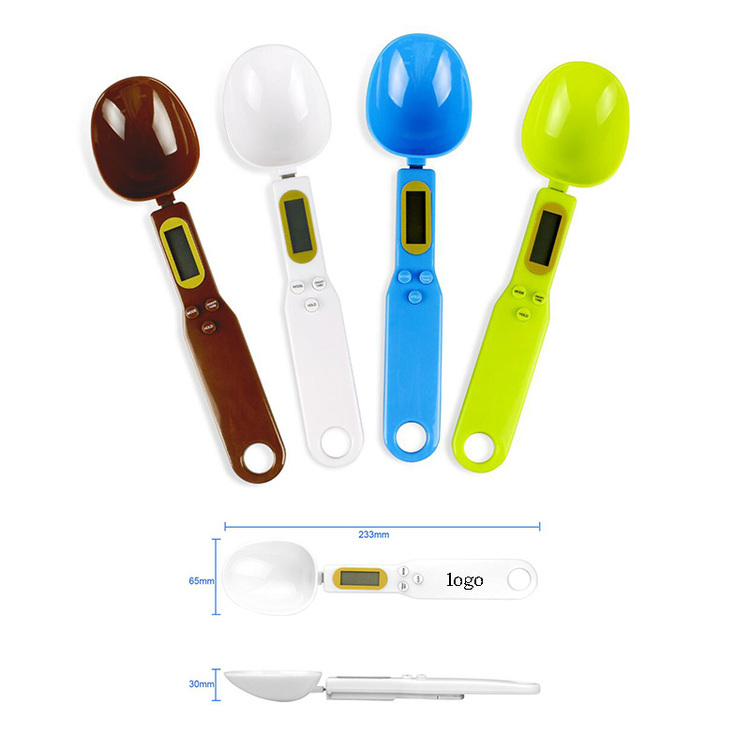 Super-useful 4 piece kitchen Colourworks measuring spoons. Practical and stylish baking and kitchen tools. Safe and harmless. Give you good mood for cooking. 1.25ml, 2.5ml, 5ml, 20ml. The perfect kitchen tool that will be kept and used often. 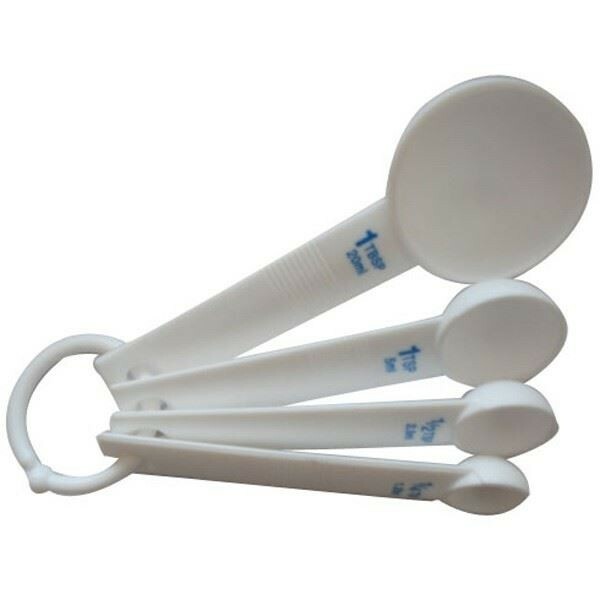 Top adjusts easily with your thumb to measure 1 to 3 teaspoons in 5 measurements. Top also removes for easy cleaning. This multi-measure spoon is made of ABS, PP and TPR. Measurements are adjusted with slide to 8 different measurement: 0.5g, 1g, 2g, 3.5g, 5g, 7g, 9g, 11g. Custom logo is available. It's made of high quality stainless steel and eight kinds of different flower type:Rose, Sakura, Sunflower, Balloon Flower, Cosmos Flower, Plum flower, Sun flower, Pansy flower. Price includes 1 color 1 side 1 location with laser engrave printing. This precision electronic scale with LCD display is made from durable BPA free food safe material. Accuracy is rated to 0.1g with max weighing of 500g and volume holding of 5ml to 30ml . Provides 4 units of weight: g/oz/gn/ct. It can measure powder and seasoning weight. It comes with a battery. Your logo is welcome. Custom molded solid chocolate candy large measuring spoon tablespoon kitchen utensil, wrapped in cello bag tied with ribbon with imprinted label applied to bag. 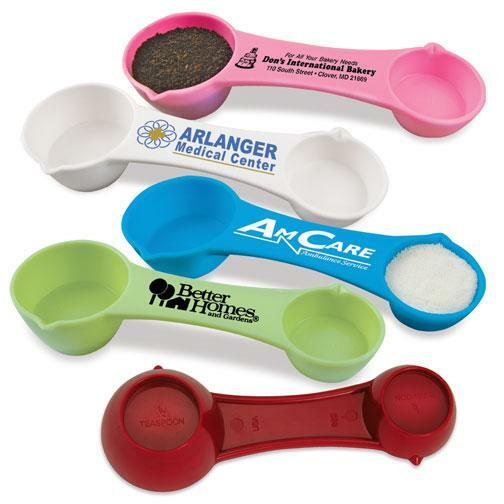 Makes a great food gift or cooking baking kitchen caterer chef promotional giveaway. The handle of the Stainless Steel Straw is a hollow circular tube. The hollow handle doubles as a straw, so you can stir your drink, scoop with the spoon or sip through the straw. Your logo is welcome. 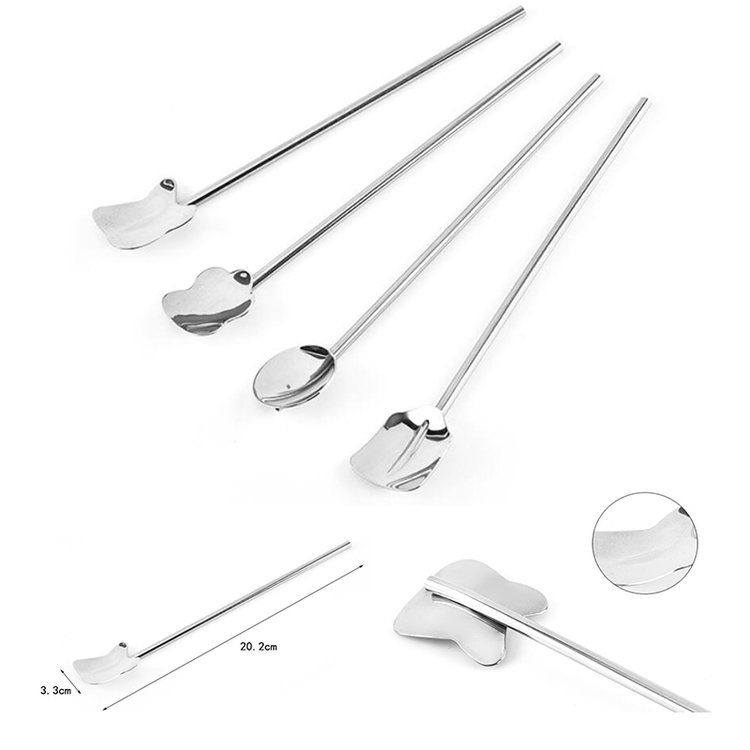 Cocktail Swizzle Sticks is made of stainless steel, screw the handle to skid resistance. logo laser etched on the round card. 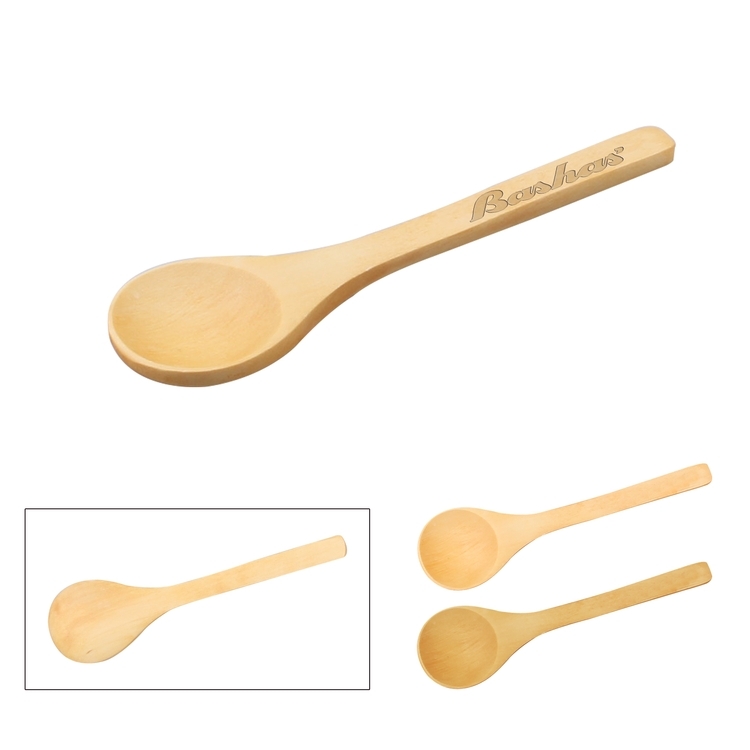 H: 11"
The Wood Spoon is the tool of eating, Appearance is the natural wood color. It's very useful at home or in restaurants, and its color is varied let you choose. The material is beech wood, which is a very safety material. You can print your own logo on it to promote your brand. 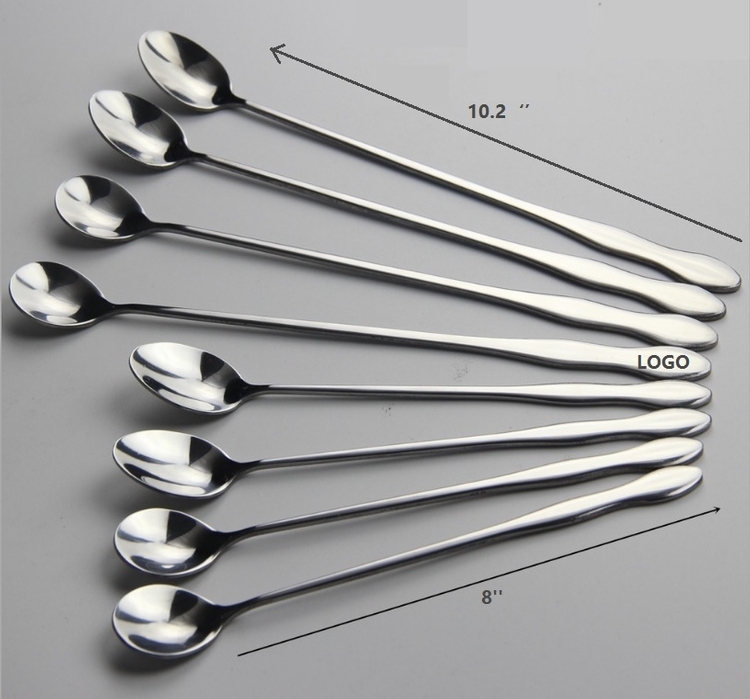 Extra thick stainless steel mixing spoon with long handle. Shape and size can be customized. Logo will be laser engraved. 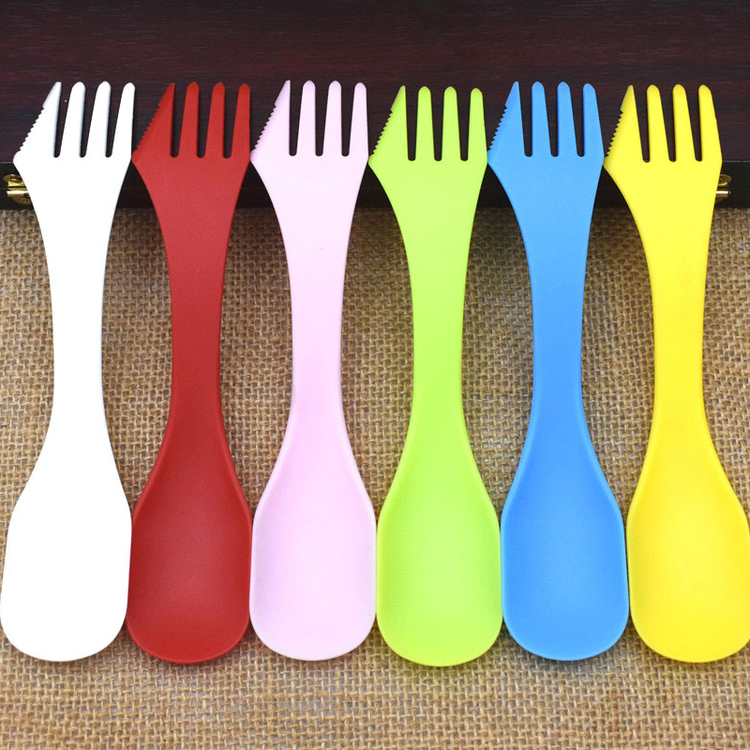 These spoon fork set are very useful, it is a good choice for you to take it outside. There are a pair of chopstick, a fork and spoon, that is great to eat different kinds of food. 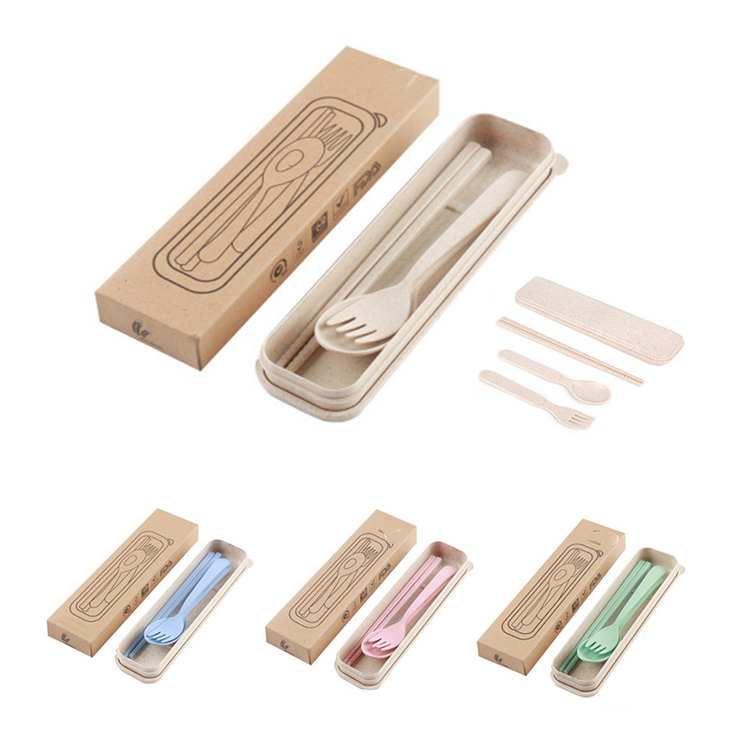 3-in-1 plastic spoon, knife and fork combination set, food grade BPA-free PP material, heat resistant. Lovely and unique design for camping, picnicking and travel. It is available for children and adults. Ideal for Franks and beans, soups, bread spreads, pancakes, marshmallows and almost any type of food. 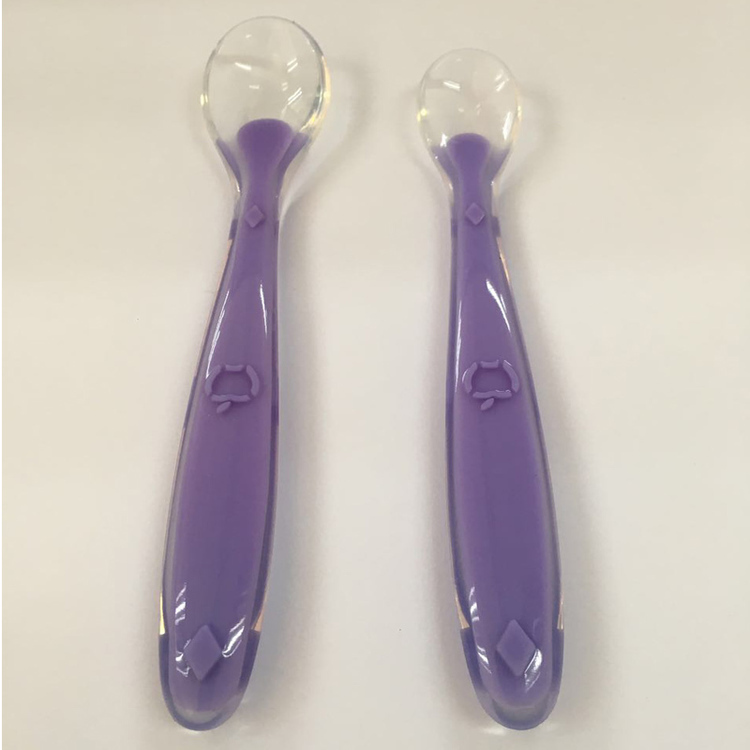 The size is 6 11/16"L x 1 3/8"W. When you offer these three-in-one plastic spoons and forks to your customers, you never need to separate your cutlery! 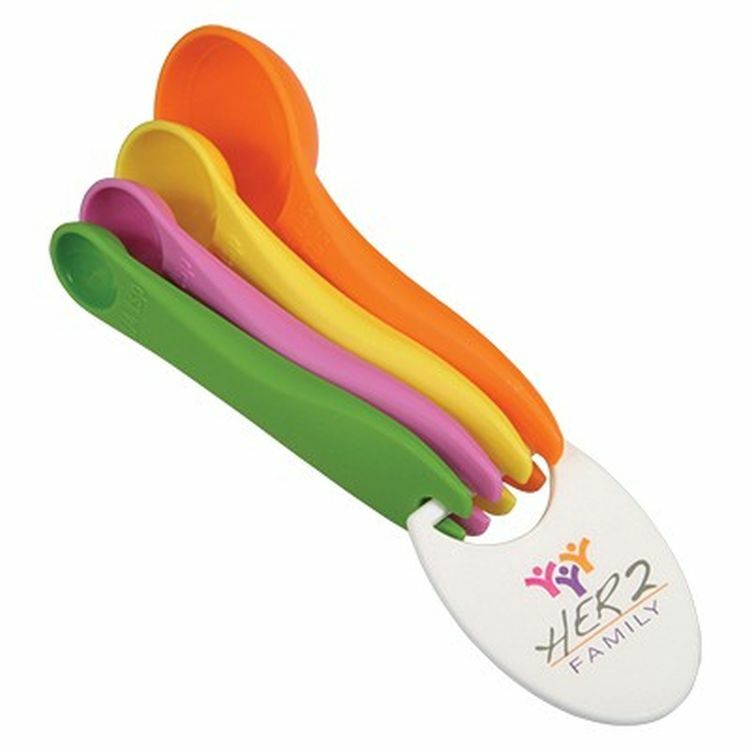 It is perfectly designed for use with a fork and spoon combination with a jagged edge on the side of the fork. Before you download your company name, logo or artwork, please be proud to display your brand information before handing it over to your next corpus. Customize your own logo to make it unique. A long sturdy, solid handle (0.30" wide) is ideal for mixing cocktails as well as mixing crushed ice or fruit. 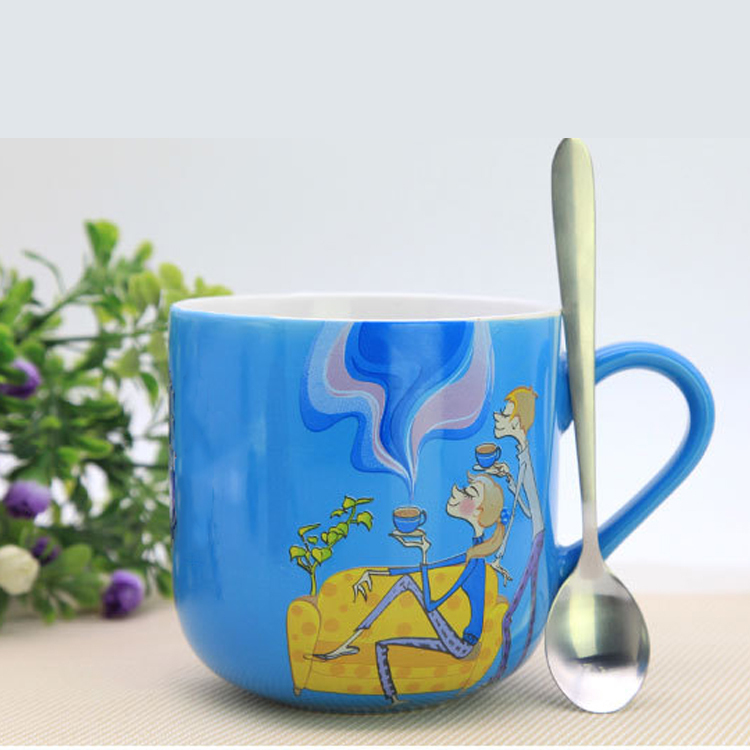 6 measuring cups, cup size is 0.25L, 0.125L, 0.085L, 0.06L, 0.015L, 0.0075L. 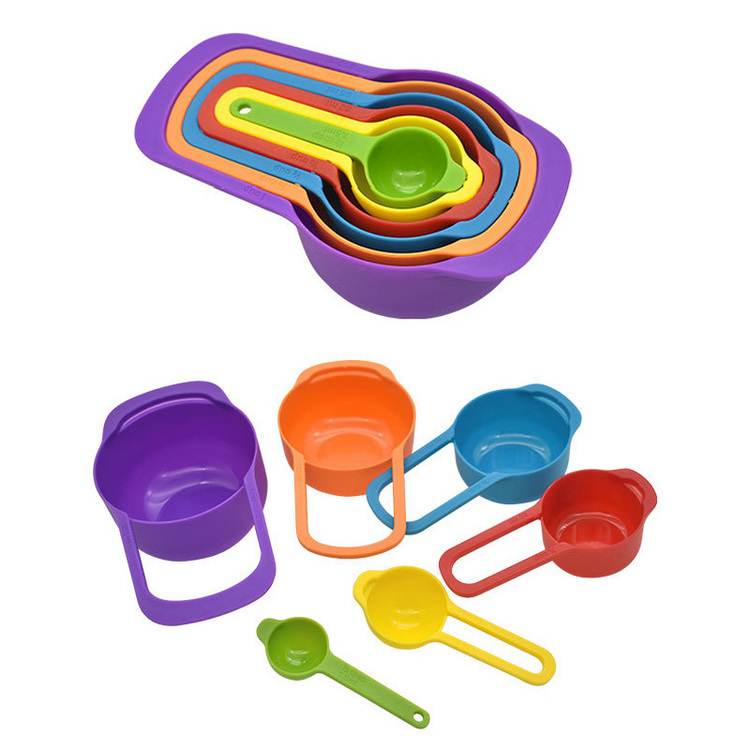 Each cup or spoon has a different color to better distinguish. Thanks to the color, you can encourage your children to help you bake, even if they haven't read yet. 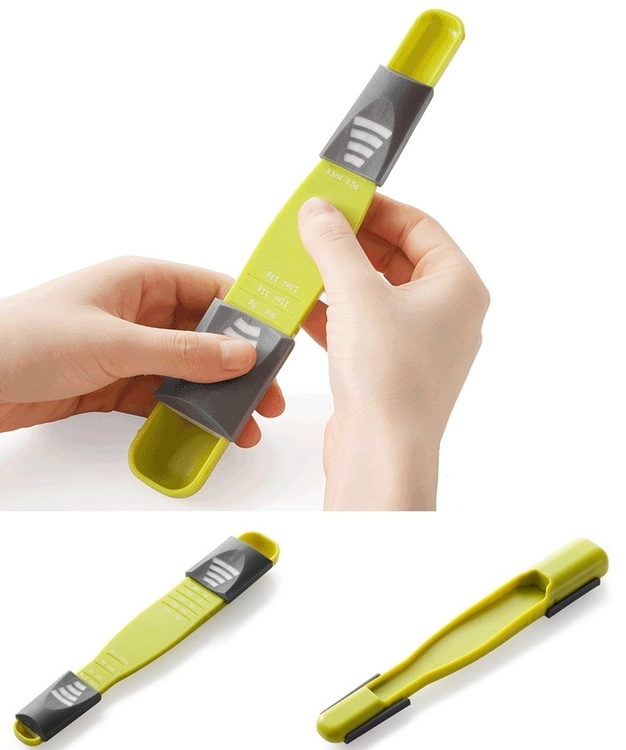 Comfortable, perforated long handle gives you a better, firm grip and saves you space, because perforation allows amazing stacking in your kitchen drawer. Welcome to your logo. It is made of 410 stainless steel. Easy to carry, suitable for picnics, outdoor activities, business trips, airplanes and other occasions. Multifunctional equipment of any institution. 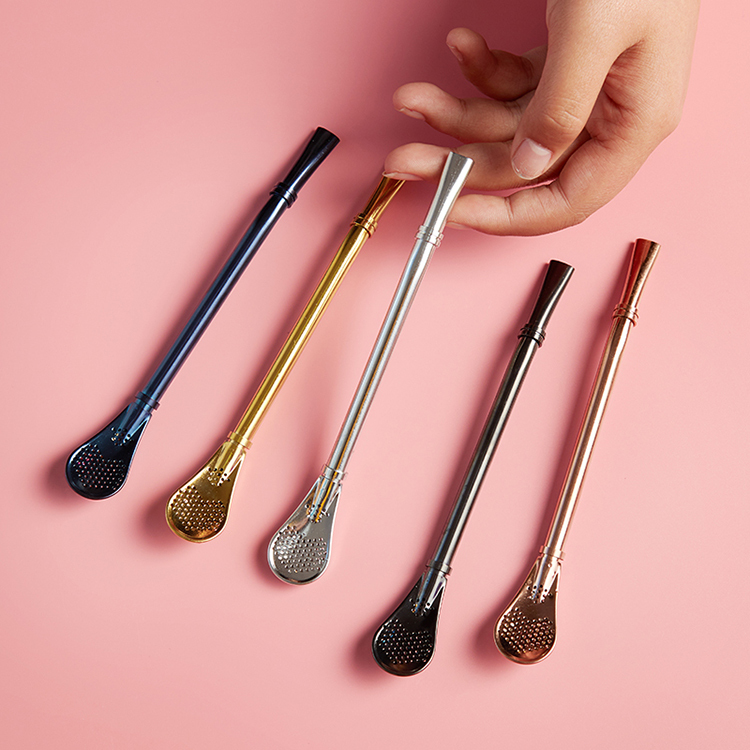 Thin size is suitable for almost any cup size and length. For higher pitchers, Qialafei, glass and cocktails. Different sizes, different prices.Welcome to your logo. 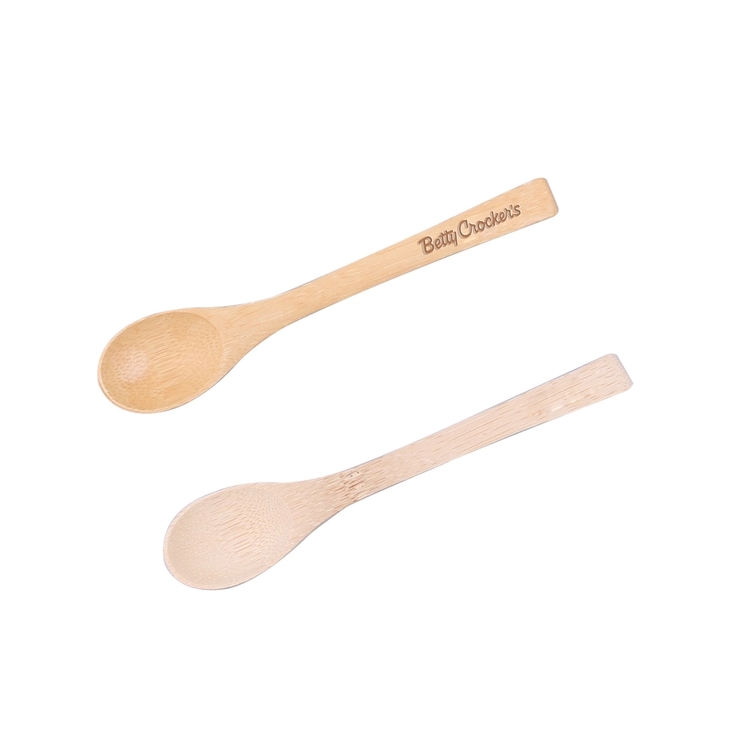 This renewable wooden spoon is an environmentally friendly choice. 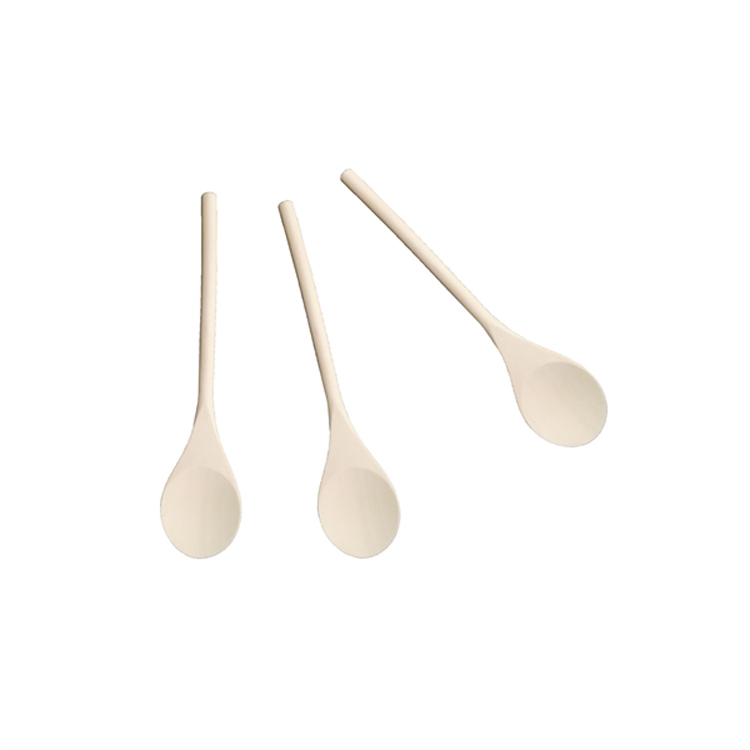 A great alternative to plastic taster spoons. The wood spoons is more safety and healthy than plastic spoons. It is 100% renewable resource, lightweight, strong and long-lasting. This is the perfect gift for clients. 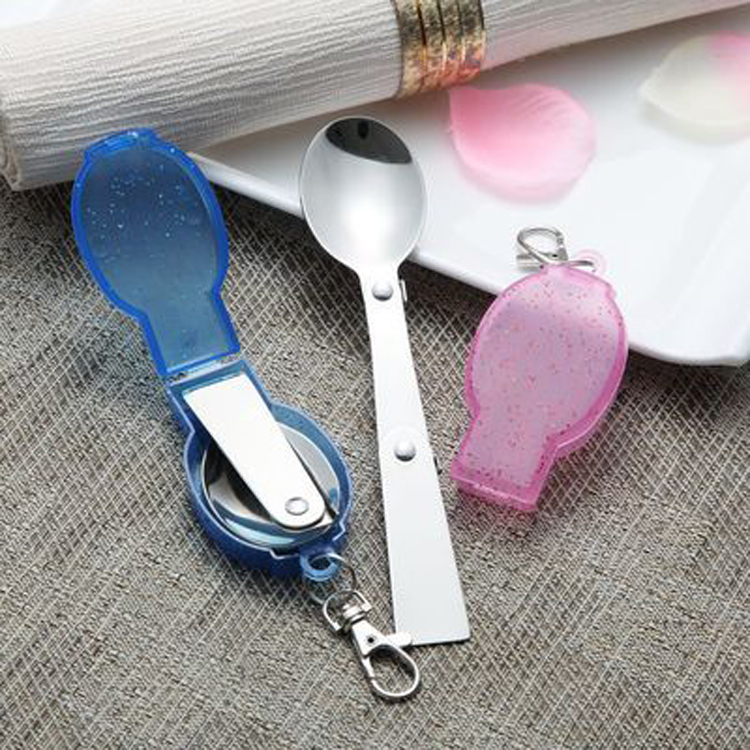 The spoons can be used at gourment shops, supermarkets, grocery stores, restautant, bar and etc. 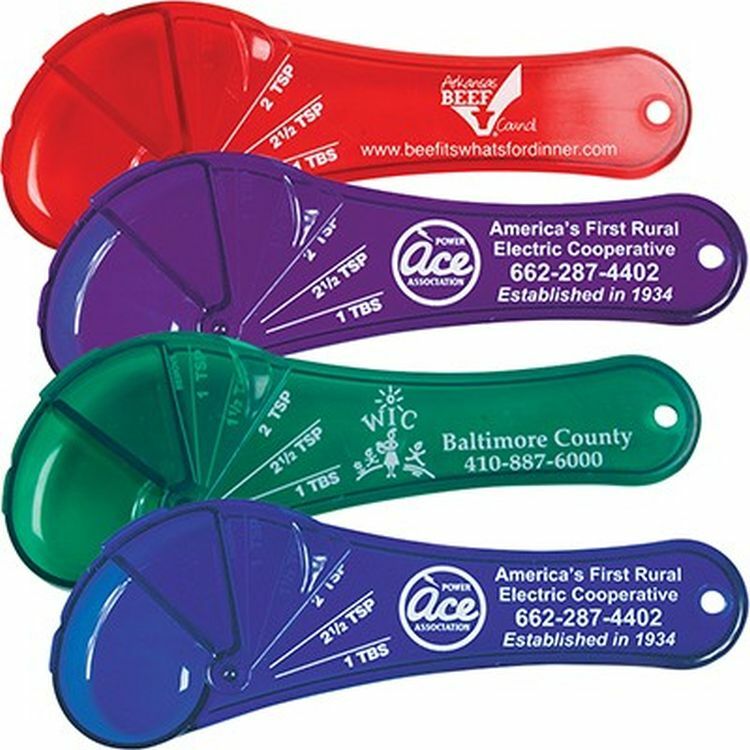 It is good choice to show your brand by laser engraved. Please kindly note there will be slightly difference in color between the picture and real product. This stainless steel tableware is made of stainless steel. 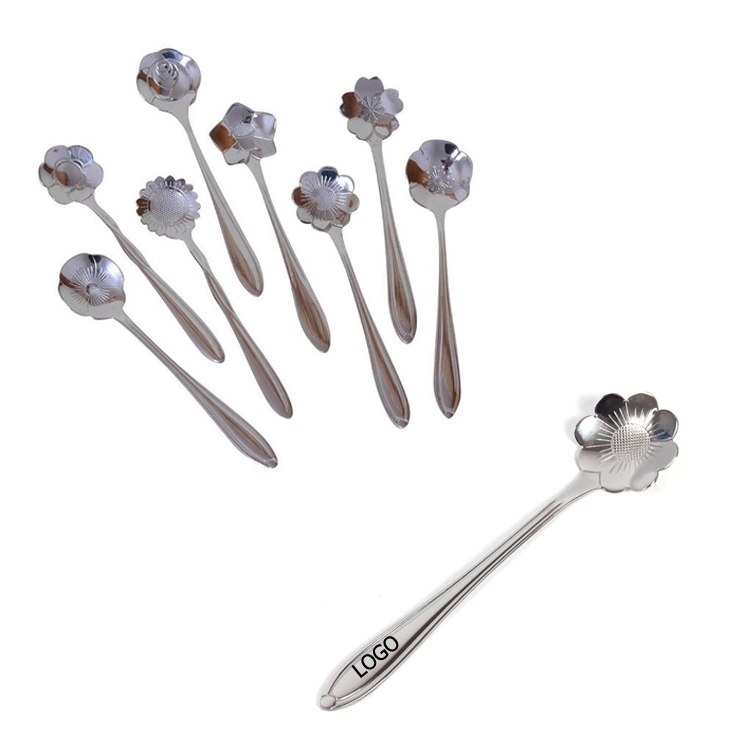 This set of tableware includes stainless steel spoons and stainless steel C forks. They have a box to hold them in. It is portable, durable and hygienic, and it is also very environmentally friendly. 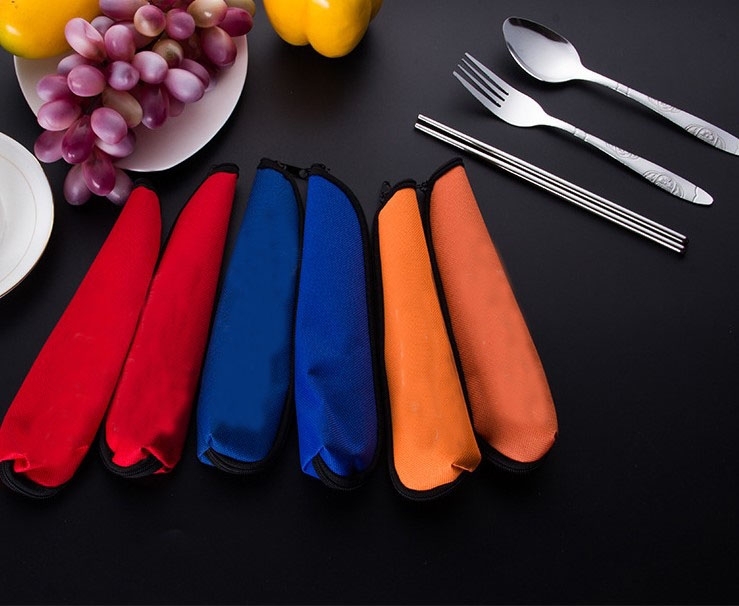 It is suitable for dining, camping, and home. 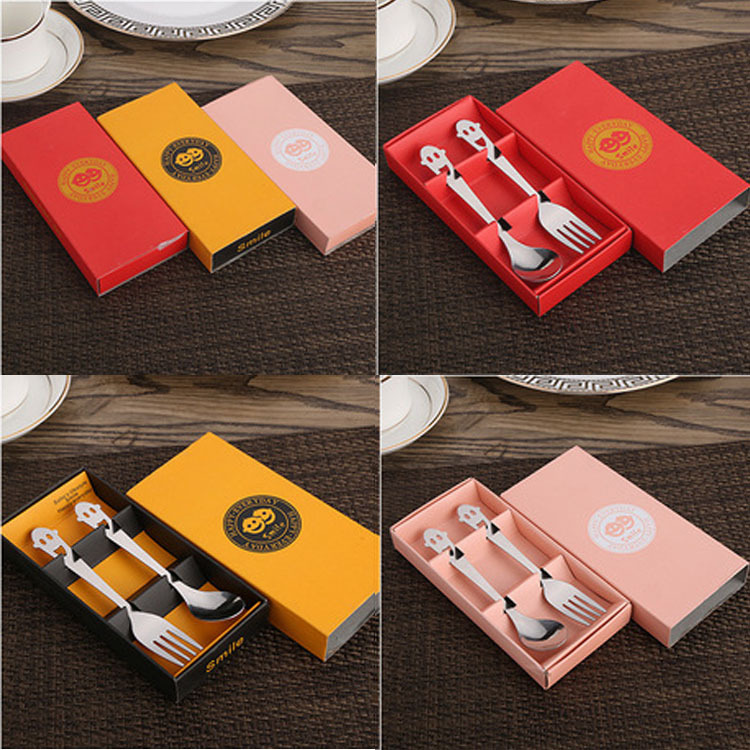 Welcome to your logo on the box and cutlery. 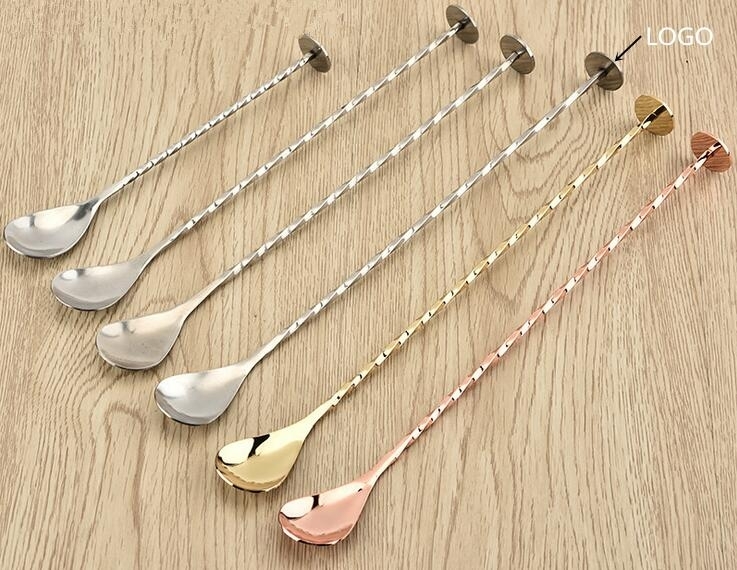 Coffee spoon is made of food grade stainless steel, very durable.Suitable for Mixing Drinks like lemonade iced tea, ice coffee.Suitable for bar. 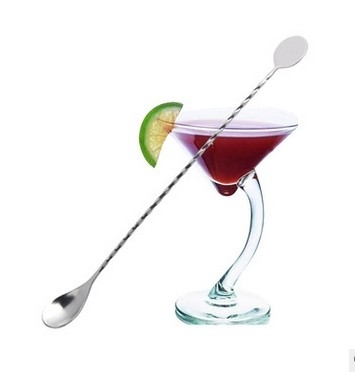 This cocktail twisted stirrer is designed to spin effortlessly for the perfect stir, balancing the taste of your drink composition. 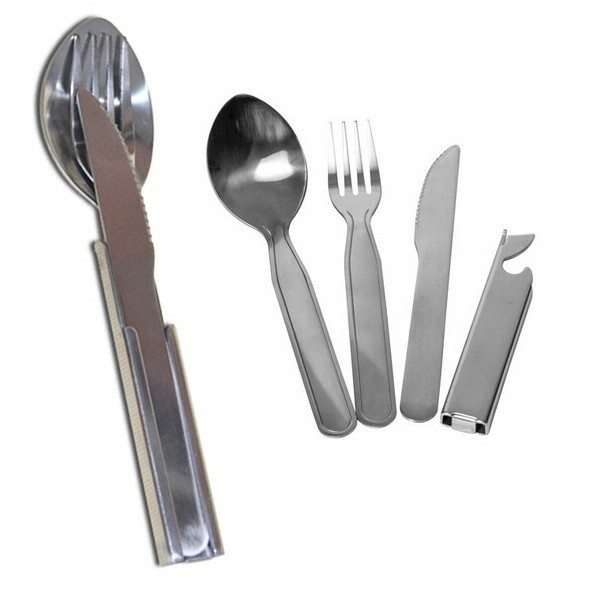 This 3-in-1 cutlery set consists of stainless steel fork, knife, spoon, and holder that is packaged by polyester mesh. The imprint can be printed on the coming mesh tag or laser engraved on the fork, knife, and spoon. It features mirror polished surface and strong enough for long term use. Brushed Stainless Steel. Handy one-piece 7" olive spoon lets you retrieve one olive at a time from a jar and perfectly drain the olive before serving it. Handy for pros and homeowners alike. Here's a truly unique and attractive design for a country or contemporary home! This hung tea-set of chimes accented with crystal-cut beads to catch the sun for a beautiful accent to any atmosphere! This makes a great decoration indoors or out. This item features metal chime bars shaped like spoons and a fork. Chime bars hang between various teapots and pitchers. This item measures 5" dia x 24" L., perfect for any porch or window! 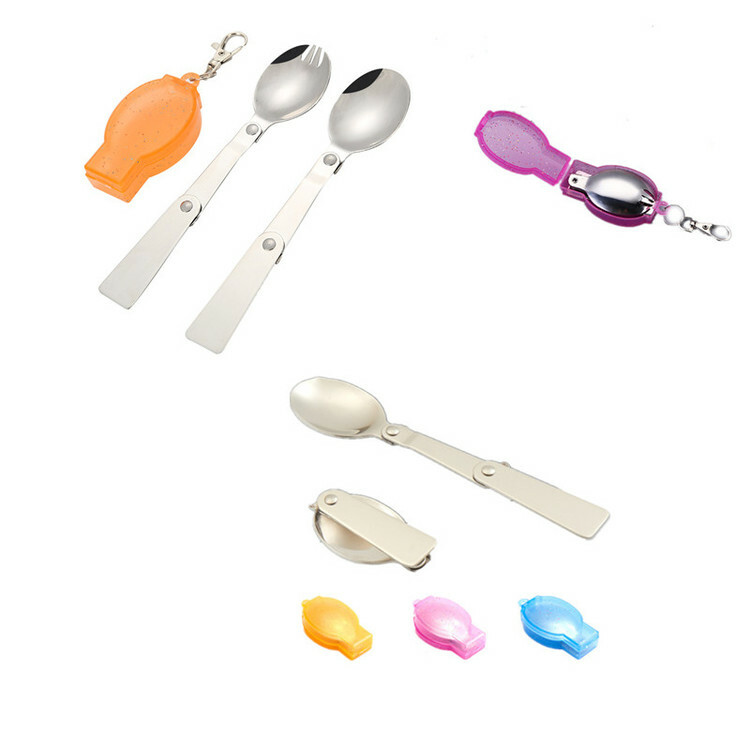 Folding spoon is constructed with a durable, rustproof, stainless steel material.Great for camping or loaded in your bag, It is also great for picnicking, school and office. 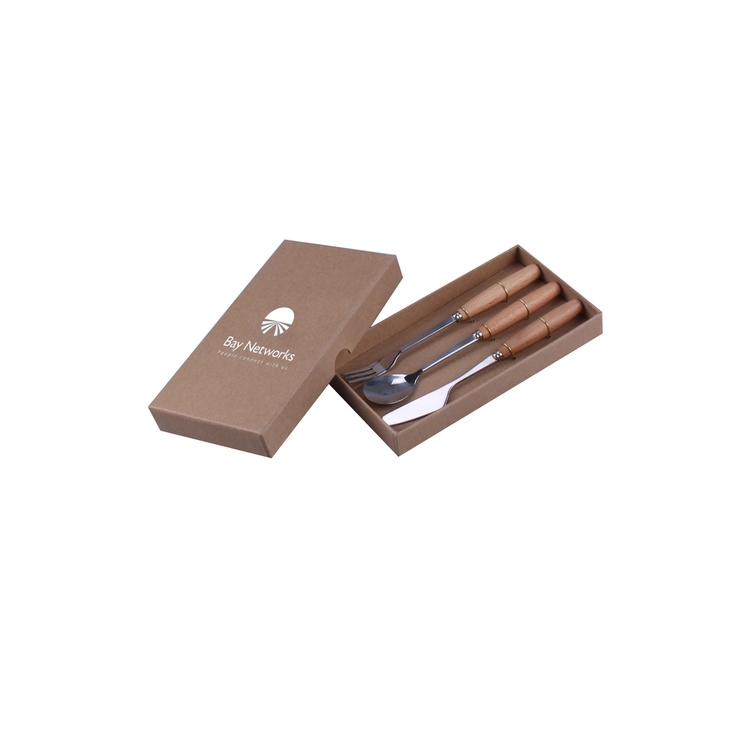 This knife folk spoon set made of stainless steel body and wood handle. The length of box is about 7 inch. This set including 3-piece tableware and 1 paper box. You can print your logo on the box or on the tableware. This is the perfect gift for clients. It can be used at adward ceremony, wedding, advertising promotion, busniess gift, festival fair, employee welfare and etc.